The INFLUENCE project is a collaborative project that has been financed by the European Commission as part of the 7th PCRD. The projet started in 2013 and ended in 2016. 8 partners took part in the project, partners from laboratories and academic institutes (KIT-Germany, Twente University, Cambridge University) also publics and private institutes ( VITO-Belgium, IREC-Barcelona, Solvionic-France and 6TMIC). The aim of the project was to improve the understanding of surface area phenomenon on new kind of batteries ( Continuous Flow Battery). The particularity of the battery (invented by MIT-USA) is to use semi-solid electrodes made of nanometric conductive particles scattered in an electrolyte. 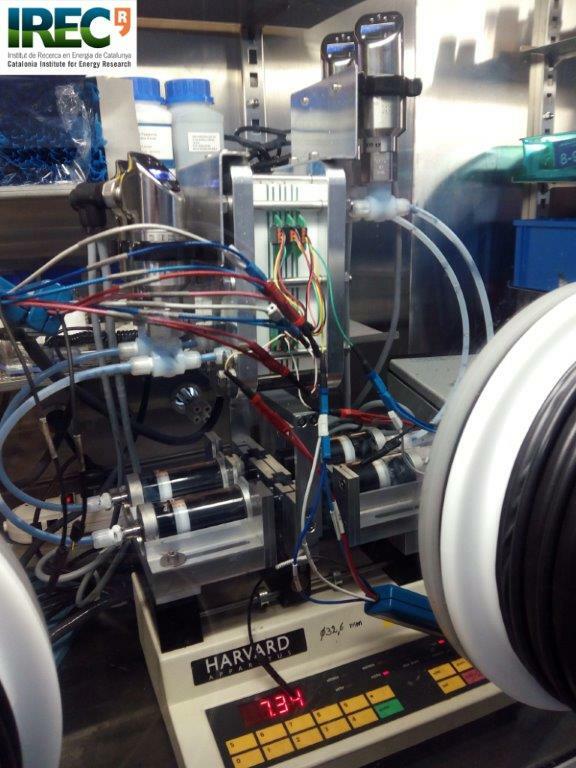 The first works have been carried out by the MIT showing the feasibility of this type of battery on the scale of a laboratory cell. The electrochemical systems used were the lithium cobalt oxide ( LCO) and the lithium nickel manganese oxide (LNMO) for the cathode and the lithium titanium oxide of the anode. The ambition of the project was to develop new eletrochemical systems to increase the currents densities, to understand the physiochemical proprieties of the semi-solids electrodes and especially the microfluidics behaviour, to design the electrochemical phenomenon and the mass transfer in order to offer strategies for developing and making-up a multi-stack prototype. Our company carried out all the modelling studies. The interfacial phenomenon were designed from the Buttler-Volmer laws, Marcus-Hush laws and Marcus-Hush-Chusdey laws and computed from numerical resolution tools. The mass transfer phenomenon was designed and computed on the COMSOL software.